Immaculate home built in Fall 2017 in Gated community in highly desirable East Dublin with TOP ranked schools. NORTH facing home offers 3680 sqft of luxury with 4 spacious bedrooms, 4.5 bathrooms & huge loft. Home has virtually every imaginable upgrade; More than $200,000 of upgrades with the look and feel of a model home! Gorgeous kitchen with built in Thermador appliances, White cabinets, a 'wow' quartz island & back splash, custom built closets, Hunter Douglas wood shutters & window treatments, pre wire surround sound & entertainment package, two tone paint, lovely staircase with wrought iron..those are just some of upgrades.The home offers ideal indoor & outdoor living fit for area's beautiful weather with 16 ft multi sliding door that leads to covered outdoor California room. Breathtaking master suite leads to spacious outdoor deck. Energy efficient home has Solar and smart home features throughout. 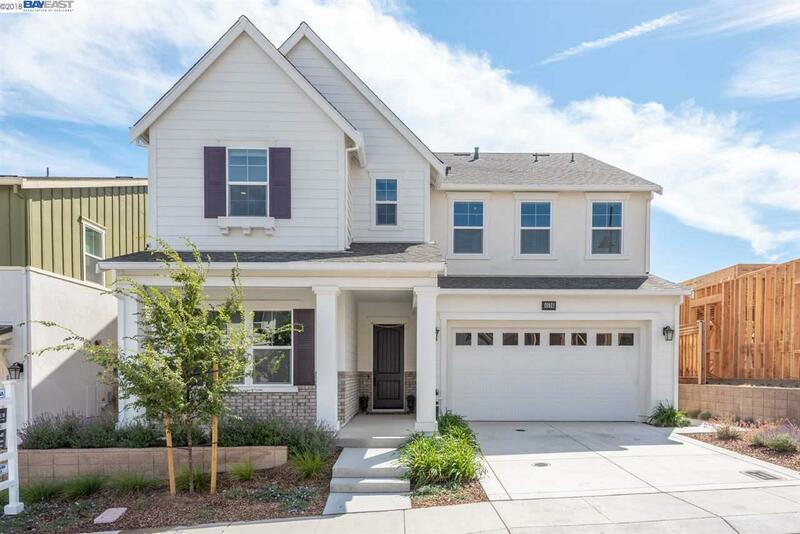 Close to schools, shopping, fwys & BART! This could be your DREAM home, MUST SEE!